Since moving to Hong Kong Vuyisile Colossa has had a very busy fight schedule. Notably he actually beat Yodsanklai Fairtex at the Boxe-Thai Guinea tournament 2 via decision. I was pretty surprised nonetheless to find he fought Yang Zhu in a sanda challenge match. Check out this fight against Yang Zhu from the March 29, 2010 Wu Le Feng Quarter Final match. at 70kg /154lbs. Corny sound effects and bad 90s numetal soundtrack added by Wu Li Feng production. Definitely not my idea. ~ by fatsoking on April 22, 2010. Yang Zhuo is not a famous sanda player. Truly, I think Yang is a kicking boxer. He play sanda initally, and then study muaythai. 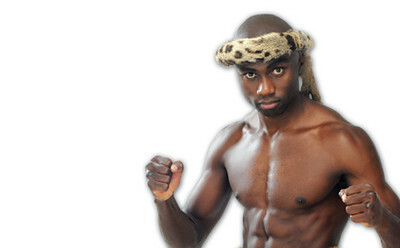 Vuyisile Colossa also win the 70kg Wu Ling Feng (Semi-final),his opponent Zhou Jian Kun is a famous sanda player. The Final Vuyisile Colossa will VS Dong WenFei another famous sanda player. seem WLF like lady gaga. Can you tell me your opnion on it , i will past it to Wu Lin Feng Forum.